Nowadays, one of the most promising topics is the AI or Artificial Intelligence. AI is the simulation of human intelligence processes by machines, especially computer systems. These processes include learning (the acquisition of information and rules for using the information), reasoning (using the rules to reach approximate or definite conclusions) and self-correction. Particular applications of AI include expert systems, speech recognition, and machine vision. Because of this, biggest research fields and giant tech company and even startups are working on it. It’s a very broad topic ranging from basic calculators and self-steering technology to self-aware robots that can radically change the future. Developing systems that equal or exceed human intelligence is the crux of AI. In my previous article, I’ve discussed the Difference between AI, Machine Learning, and Deep Learning. 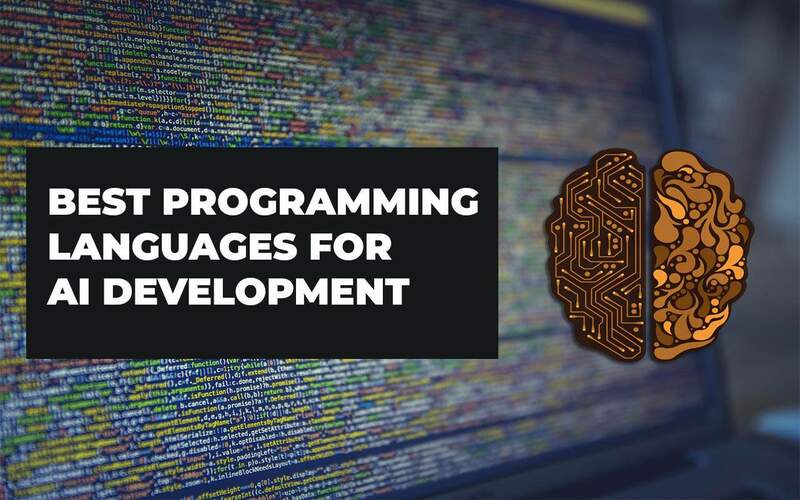 Below are the top 5 best programming languages in the field of Artificial Intelligence. Python is focused on DRY (don’t repeat yourself) and RAD (rapid application development). Python is one of the most widely used programming languages in the AI field of Artificial Intelligence thanks to its simplicity. It can seamlessly be used with the data structures and other frequently used AI algorithms. Python has hundreds of libraries that make any type of project possible, whether it is a mobile app, web app, data science or artificial intelligence. For example, ‘Numpy’ for scientific computation, ‘Pybrain’ for machine learning, ‘Scipy’ for advanced computing, and ‘AIMA’ for artificial intelligence. Python’s holistic language design, a balance of low-level and high-level programming, modular programming, and testing frameworks, makes it different from the other language. The next advantage is fast prototyping. AI is about 80% research. In Python, almost all idea can be quickly validated via 30-40 lines of code. Lisp is one of the oldest (developed in 1958) and prominent language created by the Dr. John MaCarthy, who coined the term ‘Artificial Intelligence’. Although it is not used much these days, the language is both flexible and extendable. Lisp is used for developing Artificial Intelligence software because it supports the implementation of a program that computes with symbols very well. Symbolic expression and computing with those are what Lisp is good at. Also, it consists of a macro system, a well-developed compiler that can produce efficient code, and a library of collection types, including hash tables and dynamic-size lists. It was originally developed for Lambda Calculus computation, and since its inception, it has evolved a lot. The language introduced many ideas in computer science, such as recursion, dynamic typing, higher-order functions, automatic storage management, self-hosting compiler and tree data structure. Java is also a great choice. It is an object-oriented programming language that focuses on providing all the high-level features needed to work on AI projects, it’s portable, and it offers inbuilt garbage collection. The Java community is also a plus point as there will be someone to help you with your queries and problems. The best thing about Java language is its Java Virtual Machine technology that enables you to create a single app version, which will run on all Java-supported platforms. Its strengths are transparency, maintainability, and portability. Benefits of programming AI in Java includes well-supported large-scale projects, better user interaction, debugging ease, facilitated visualization and incorporation of Swing and Standard Widget Toolkit. This language stays alongside with the Lisp when we talk about development in AI field. The features provided by it include efficient pattern matching, tree-based data structuring, and automatic backtracking. All these features provide a surprisingly powerful and flexible programming framework. Prolog is widely used for working on medical projects and also for designing expert AI systems. C++ is the fastest programming language in the world. Its ability to talk at the hardware level enables developers to improve their program execution time. C++ is extremely useful for AI projects, which are time-sensitive. Search engines, for example, can utilize C++ extensively. In AI, C++ can be used for statistical AI techniques like those found in neural networks. Algorithms can also be written extensively in the C++ for speed execution, and AI in games is mostly coded in C++ for faster execution and response time. In summary, there are lots of programming languages available, all you need to do is decide on what subject you are working on and from that, you can now decide what to use (of course, if you are an AI aspirants). Any particular reason you left out R programming language? C++ Fastest language in the world? Faster than pure C? Faster than assembler? What’s your definition of fast? VISHAL KATTI is right, I expected to see R there int the list but it wasn’t. I hope that the admin gets back to the comment section.